The Light Phone: for $150 you can get a (quiet) downtime stand-in for your hyper-connected smartphone. The iPhone X is a featured-packed technological marvel. The Light Phone isn’t. But each represents a vision of the mobile phone future. For a part — albeit small part — of the device-toting population The Light Phone is a godsend. A tiny, eminently-pocketable, credit-card-sized mobile phone stripped down to the bare essentials: making phone calls. That’s it. 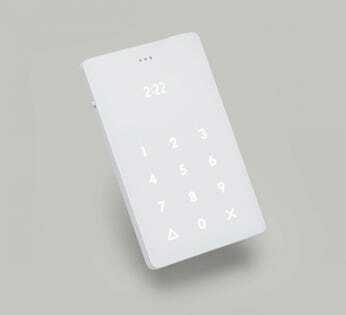 The newer Light Phone 2 — still in the prototype stage — adds messaging and an alarm clock. No, it isn’t going to outsell the iPhone X or the iPhone SE (Apple’s smallest iPhone). But it’s a vision I can subscribe to — at least some of the time. Light Phone explained in a graphic. The Light Phone can use the same number as your primary smartphone so it can be a downtime proxy. For me (like most people) downtime means trying not to be hyper-connected. So, carrying around something like the Light Phone — instead of my iPhone X — makes sense. Along these lines, some are rethinking the flip phone. The flip has a newfound “low-tech appeal to the burgeoning #DeleteFacebook crowd,” as the Seattle Times recently put it. Of course I can just put my iPhone X in Do Not Disturb mode, or airplane mode, or just turn it off for a while. But face it, if you have something as cool as the iPhone X, you’re going to use all of its hyper-connected goodness. I certainly do. The problem is, the hyper-connected future will likely only get more intense. So I like the idea of something really small that’s designed from the ground up to be non-intrusive. The Light Phone is $150. To keep the Light Phone SIM card active you pay $5 per month. Here’s the Light Phone FAQ.